Attitudes in the West have changed significantly when it comes to health and healthcare. Throughout the 1960s and 1970s there was a burgeoning interest in alternative medicine, with people looking for more natural and holistic approaches to the treatment of their ailments. 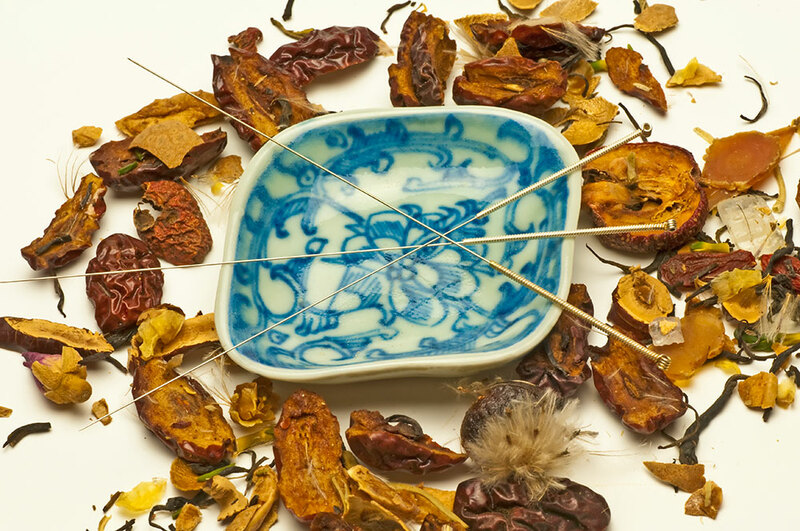 Many turned to the East for inspiration, finding it in the herbal therapies and acupuncture techniques used in Traditional Chinese Medicine (TCM). Acupuncture was quick to gain traction in the West as patients and practitioners recognized its value in the treatment of chronic pain, depression, addiction, and even fertility. Today, acupuncture is used to treat an ever growing number of health issues, and acupuncturists often work closely with the conventional medical community to provide greater levels of care for their patients. If you are considering Acupuncture and Oriental Medicine (AOM) as a career path you will find the work challenging as well as personally and financially rewarding. However, as with any medical career, there is much to consider before you set forth on your journey. Becoming and acupuncturist requires dedication, a strong educational background, and a commitment to the health and well-being of others. You will have to commit to years of training and instruction before you can be licensed to practice in your community, and you will have to weigh the cost of that education against the time it will take you to fully establish yourself in a successful practice. But for those that answer the calling, becoming an acupuncturist offers a rewarding career in the service of the health and well-being of others. Acupuncture is based around the concept of qi (pronounced ‘chee’). Loosely translated qi means ‘breath’ or ‘air’, though it is more typically understood to refer to energy and the innate life force that inhabits all living organisms. Traditional Oriental medicine is concerned with the imbalance of qi, or the life force, that creates disharmony in the body and leads to illness. 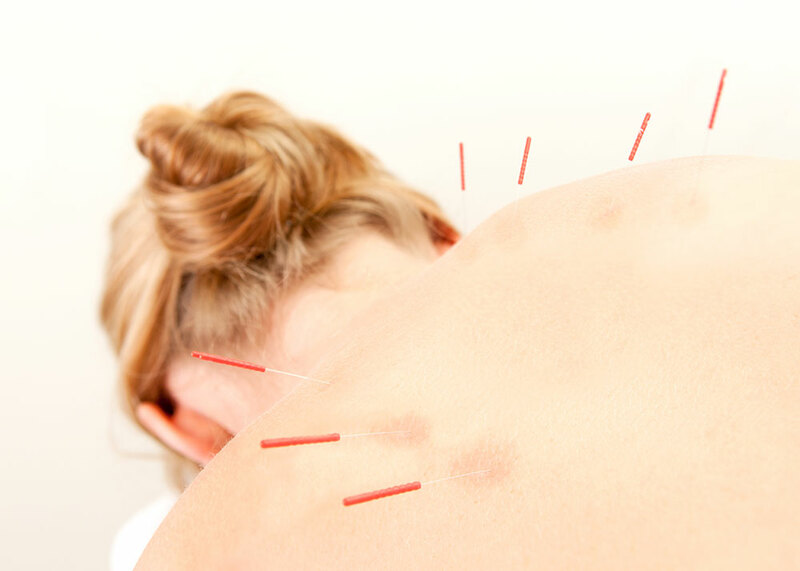 Acupuncturists use sterile needling (the application of sterile needles to precise pressure points) to stimulate a patient’s qi as a way to redress the imbalances which may have occurred in the body. Acupuncture is, perhaps, the most widely recognized technique used by OAM practitioners. But traditional Chinese medicine also relies on other techniques to achieve their goal including cupping, acupressure, exercise (qi gong, tai ji quan, etc) and traditional herbal preparations. Acupuncture, and traditional Chinese medicine in general, appeals to patients searching for a natural, less invasive, approach to healthcare. Treatments are highly effective, relatively inexpensive (especially when compared with conventional techniques), and virtually free of side effects. The popularity of acupuncture with the public has led to an increase in the demand for licensed practitioners, and that continuing demand means career opportunities for those with an interest in becoming a practicing acupuncturist. Acupuncture has become one of the most respected, and requested, forms of complementary medicine in the United States. It appeals to an ever growing portion of the public, most of whom have been searching for safe and effective alternatives to more conventional forms of treatment. Acupuncturists and Oriental Medicine practitioners are licensed to practice in 44 states and the District of Columbia, which serves to illustrate just how widespread the interest in alternative medicine has become. The growth of acupuncture and Oriental medicine in the West puts licensed practitioners in the enviable position of being able to build financially and personally rewarding careers working in their chosen fields. Acupuncturists work with clients from all walks of life, working with patients to assess their physical, mental and emotional health to determine the most effective course of treatment. Of course, Chinese medicine is about more than simply treating a patient’s current symptoms. As an acupuncturist you will also guide your patients toward a more balanced lifestyle, helping them to learn how to better maintain their health and well-being through the proper balance of qi. Naturally, your level of education plays a key role in how your career prospects. A Master’s degree from an accredited school of Acupuncture and Oriental Medicine prepares graduates for most entry level positions, either in an independent practice or a multi-disciplinary clinic. These types of placements provide exceptional opportunities for young acupuncturists to build real world experience working with patients while forging important connections which can later be used to launch a private practice of their own. A Post-Graduate or Doctoral degree will expand your career options considerably. The continuing education and training, and the addiction of supplementary techniques and therapies, makes it easier to launch a private practice that can server a large enough body of patients to support you, your partners and your staff. An advanced degree in AOM also opens up several ancillary career opportunities. With a Doctorate in Acupuncture and Oriental Medicine you might decide to go into research or teaching, helping to train the next generation of acupuncturists and traditional Chinese medical practitioners. The rising interest in Traditional Chinese Medicine, and alternative medicine in general, bodes well for those moving into the industry. The U.S. Bureau of Labor Statistics does not currently track specific income rates for acupuncturists and Oriental medicine practitioners, preferring to fold that data into the more general category of supplementary healthcare workers. However, there are other resources that provide some insight into the earning potential of acupuncturists at every stage of their career. According to Sonaku, a respected online career matching platform, the median yearly salary for acupuncturists working in the United States is $74,710. However, compensation analysts at PayScale have arrived at a more conservative estimate of $49,093. [It’s worth noting that PayScale’s estimates are drawn from a smaller reporting cohort than Sonaku’s, which could well explain the difference in the two firm’s estimates]. Of course, these numbers merely reflect the national averages, and there are some important variables that must be considered. Another key consideration is location. Where you practice has a definite impact on earning potential, with some states reporting higher income values than others. For example, Maryland offers the highest earning potential for acupuncturists in the United States, while Nebraska and Tennessee come in at the bottom of the pay scale. Where you choose to practice has as much of an impact on your earning potential as your level of experience and years of service. Students applying for admission should also expect to partake in a rigorous admissions interview, and should be prepared to present letters of recommendation and a formal essay for review. Choosing a school of Acupuncture or Oriental Medicine is much like selecting any other institute of higher learning. First, you should take some time to research a number of different schools before stepping into the admissions process. You will want to consider the location of the college, the costs of admission (including housing, books, and additional fees), and what specific aspects of acupuncture and Oriental medicine are emphasized in the curriculum. Again, different schools have different requirements for admission, so you should carefully review any prerequisites for admission to the schools you are considering. You will also want to investigate the availability of financial aid programs that may be used to offset the total cost of your education. Second, you will want to verify that the school you are considering is fully accredited by the American College of Acupuncture & Oriental Medicine (ACAOM). The ACAOM is the only organization recognized by the U.S. Department of Education for the review and accreditation of AOM schools. Accreditation not only indicates a higher level of excellence as regards the school’s curriculum and staff, it also guarantees that the degrees issued by the school pass the standards for licensing as set down by the United States’ Government. This point can not be overstressed. In order to be licensed to practice acupuncture or Oriental medicine in the Unites states your degree must be granted by a fully accredited school or college of AOM. Perhaps the best place to begin researching AOM schools is the Council of Colleges of Acupuncture and Oriental Medicine (CCAOM). The CCAOM’s 57 member colleges have been chosen for the academic excellence, and all of the schools have either received full accreditation or are candidates for accreditation from the ACAOM. The Academy for Five Element Acupuncture – Located in central Florida, the Academy for Five Element Acupuncture is a fully accredited college offering a three year Master’s’s degree in acupuncture as well as extensive courses in Chinese herbal traditions. Financial aid is available through Federal Stafford and Graduate PLUS loans. Acupuncture and Integrative Medicine College, Berkeley – AIMC takes a broad approach to traditional Chinese medicine, with an emphasis on integrative medicine. The college’s Master of Science in Oriental Medicine covers acupuncture, Oriental herbs, basic science and integrative medicine. The 3 ½ year course includes hands on clinic experience. Financial aid and work study programs are available. Emperor’s College of Traditional Oriental Medicine – One of the top rated colleges in the country (#1 in California and #2 in the nation), Emperor’s College offers the most comprehensive Master’s degree program in Acupuncture and Oriental medicine in the United States. They are also one of only 6 colleges in the US to offer fully accredited Doctoral degrees in Acupuncture and Oriental Medicine. Emperor’s is also home to a licensed teaching clinic, giving interning students hands on tuition. Financial aid is available to select students. Jung Tao School of Classical Chinese Medicine – Located in Sugar Grove, North Carolina, the Jung Tao School of Classical Chinese Medicine offers degrees in both acupuncture and traditional Chinese medicine. Students who successfully complete a three year course in acupuncture can intern at the college’s clinic as they practice their skills under the guidance of the college’s faculty and licensed acupuncturists. Pacific College of Oriental Medicine – The Pacific College of Oriental Medicine operates campuses in California, New York and Illinois. The college offers Master’s degrees in acupuncture and Oriental medicine, as well as course studies in massage and holistic nursing. Doctoral degrees in Oriental medicine are offered on the San Diego, CA and Chicago, IL campuses. Federal financial aid is available as well as independent scholarships for deserving students. Tuition costs for a three to four year course in acupuncture or Oriental medicine will vary from school to school. Currently, the cost of a three year program ranges at a US college of acupuncture and Oriental medicine ranges from $45,000 to $65,000. Keep in mind these costs do not reflect the addition costs of books, housing, and miscellaneous fees. While these costs are not inconsiderable, financial aid is available from many of the top schools in the country. Acupuncturists require a graduate degree in order to be licensed to practice in the United States. Master’s, doctorate’s and post-graduate degrees are available in acupuncture and Oriental medicine, though not all schools will offer advanced degrees. Depending on your career goals you will want to research the availability of advanced degrees when applying to the schools on your list. A Doctoral degree is not necessarily required to practice as a licensed acupuncturist in the United States. However, some acupuncturists do opt to pursue a post-graduate degree as a way to distinguish themselves from other practitioners and improve their career prospects. A Doctoral degree is not required to be licensed to practice acupuncture in the United States. However, some acupuncturists do opt to pursue their post-graduate studies in order to provide a greater level of care for their patients and to distinguish themselves from competing practitioners. A doctorate degree in Oriental medicine can often lead to even greater professional opportunities. Once you’ve earned your degree in acupuncture you will have to be certified by the National Certification Commission for Acupuncture and Oriental Medicine (NCCAOM). The majority of US states, as well as the District of Columbia, require practicing acupuncturists to have this certification. A number of states have additional rules governing licensing and certification and you should check with your state’s regulatory commission to ensure you meet all necessary requirements for licensing. Some states like California have a board dedicated to acupuncture, whereas other states like Massachusetts have a committee in their health and human services department. The NCCAOM certification process is relatively simple, though it does require some time to complete. You will have to apply to the commission indicating you want to sit for the board’s exam. You will also have to submit your school transcripts, proof of graduation, and your clean needle technique certificate. Be aware there are fees associated with submitting your application for certification, so you will want to take those into consideration when preparing for your NCCAOM exam. Once you’ve submitted your particulars and have passed the NCCAOM board’s exam you will be certified to practice as an acupuncturist. Again, it is important to double check with your state’s regulatory commission to learn of any other requirement that must be met before you can be licensed to practice in your state. Once you are certified by the NCAAOM and licensed by your state it will be time to launch your professional career. Some new acupuncturists choose to open their own practice, while others find it easier (and more cost effective) to join an existing practice or find a place in an established alternative healthcare facility. The latter is often the best option for newly certified acupuncturists, as it gives them time to establish themselves in their community while building their reputation as a healer. Acupuncture and Oriental medicine offers more than simply a career opportunity. The essence of traditional Chinese medicine is an understanding of the self, and how our energies inform our health and well-being. The lessons you learn studying to be an effective acupuncturist will not only guide you to a better career caring for others, but will change your life for the better.